Garmin Pilot must be feeling the pressure from ForeFlight. 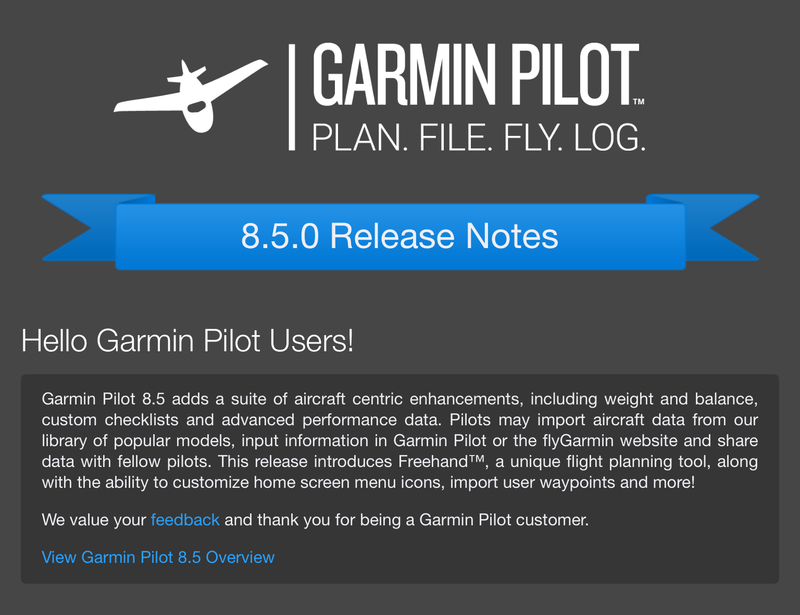 In the last couple months they have significantly upped their game and released a ton of new features which, in my opinion, have not only closed the gap but actually put Garmin Pilot in the lead. I’ll do a head-to-head comparison sometime in the future but for now let’s take a look under the hood at the two latest additions.